The "baby G-Class" reminded 1 dealer of the GLK's boxiness. It was roughly 4 years ago when 1st reports emerged about the possibility of a G-Class-inspired GLB that would slot between the GLA and the GLC. 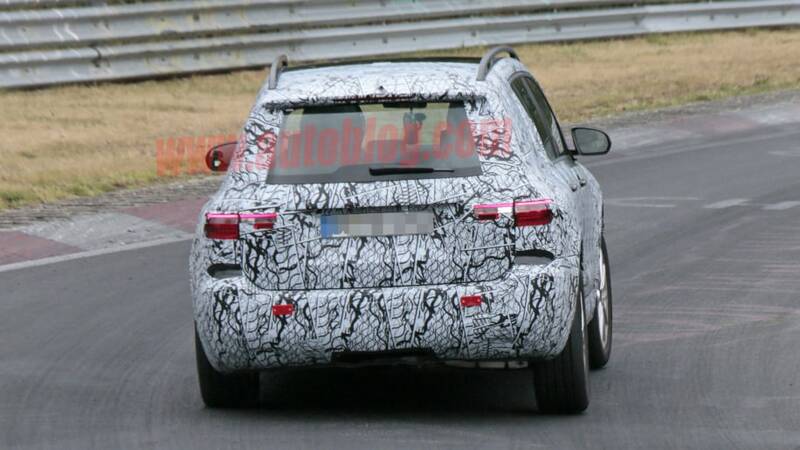 Since the beginning of 2018, several batches of spy shots have been published to confirm the rumor about a boxy crossover part of Mercedes’ extended compact car lineup. New intel reveals the GLB was shown recently to dealers in the United States as a pre-production model alongside the A-Class Sedan, another new car heading to the U.S. The “baby G-Class” as it has been described will ride on the same MFA2 platform as the new A-Class hatchback and all of the other front-wheel-drive-based compact cars Mercedes is planning to launch in the next few years. Production of the GLB will probably take place in Aguascalientes, Mexico at a new factory resulting from a tie-up between Daimler and Nissan. The U.S. version is scheduled to go on sale in the last quarter of 2019. No word on pricing, but an educated guess would be anywhere between the $33,400 GLA and the $40,050 GLC. 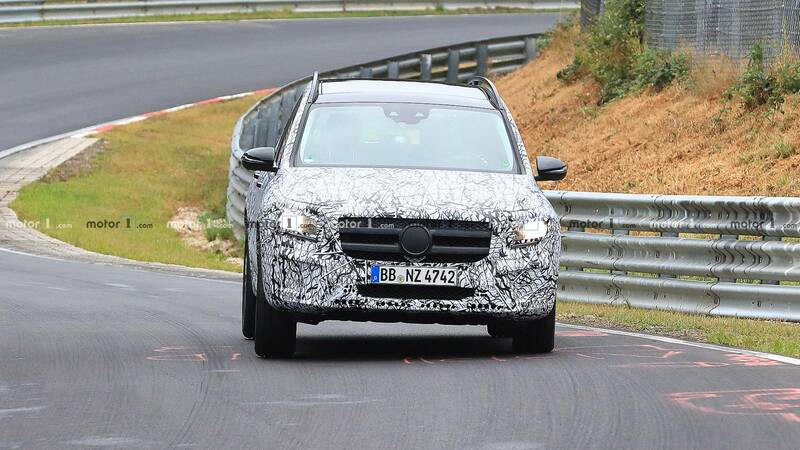 You're not the only one who thinks it's a little strange that Mercedes-Benz would test its upcoming GLB compact crossover at the Nürburgring. Judging by the lean angles in the gallery above, at least it looks like the test driver is having some fun out there. 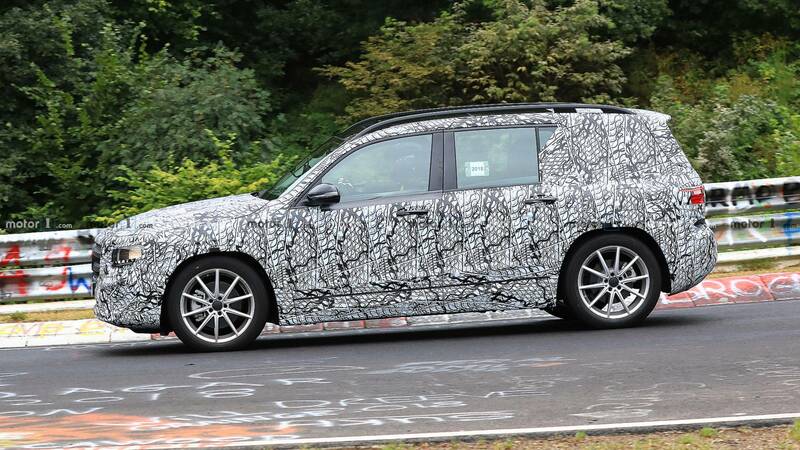 Overlooking the locale, these spy shots reveal a bit more of the little German CUV than we've so far been able to see, particularly its front fascia. 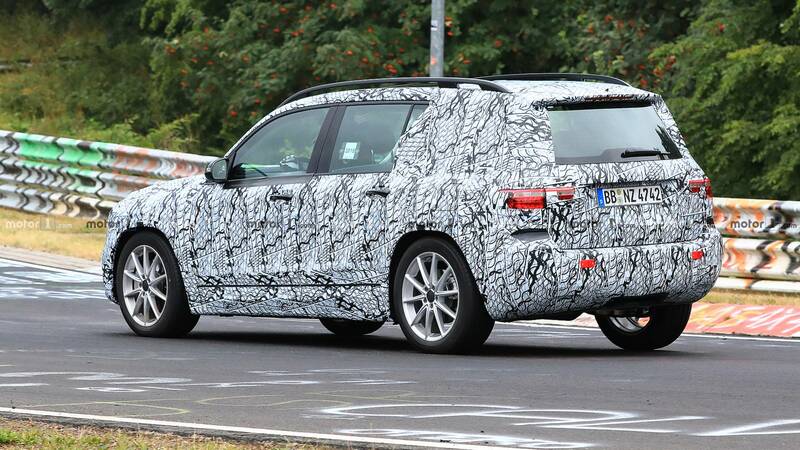 The last time we spied a GLB, its face was covered up with a mix of camouflage and some awkward metal mesh. 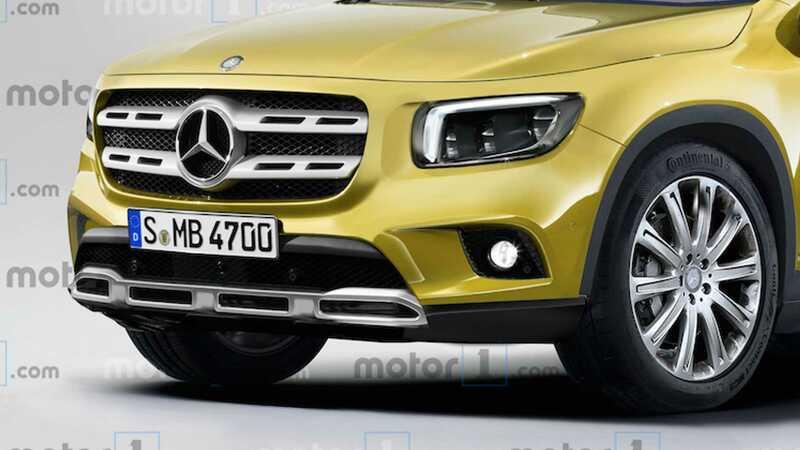 Now we can clearly see a two-bar fascia that won't look out of place sitting next to the GLA and GLC, between which this GLB will sit in M-B's product portfolio. We're happy to see the overall boxy shape has remained intact. We're reminded a bit of the first-gen GLK and the current box-it-came-in G-Class uber 'ute, albeit with different proportions as dictated by its front-wheel-drive platform. Previous rumors have suggested the GLB could be offered with three rows, and while that's possible, these spy photos indicate those extra seats would be awfully cramped. At least the straight-back roofline means there should be plenty of room for cargo. 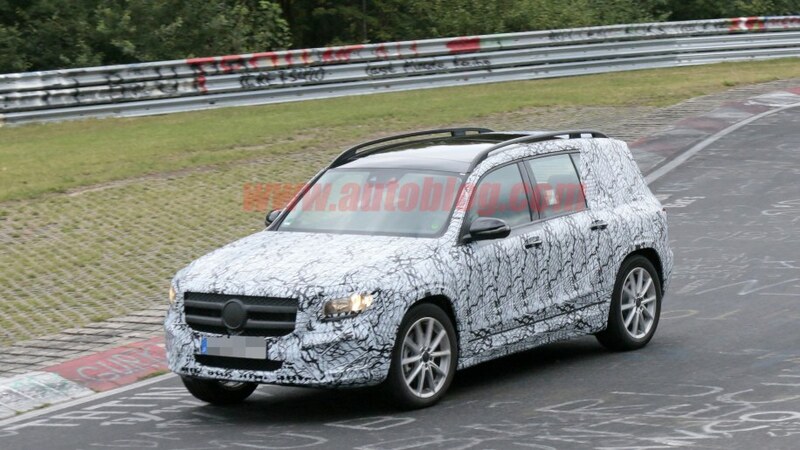 We don't know what's powering this particular GLB mule, but since it's surely riding atop the next-generation MFA platform that it will share with the smaller GLA, we'd expect a base four-cylinder turbo to go along with at least one AMG variant. We expect to find out sometime next year after the GLB makes its official debut. 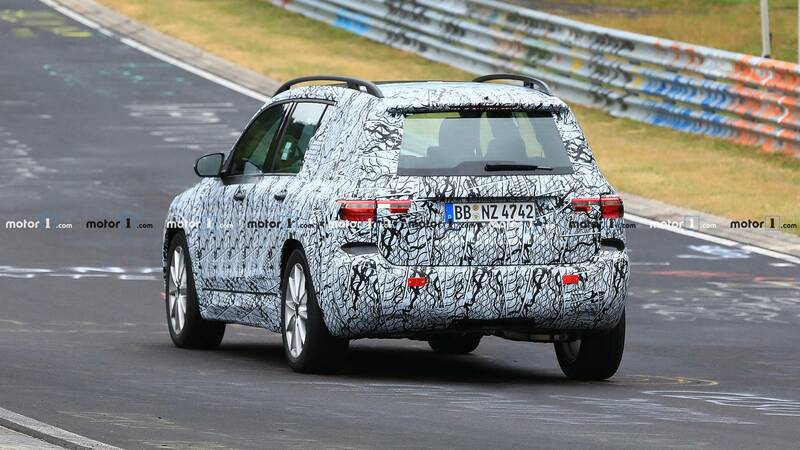 The debut of the first-ever Mercedes-Benz GLB-Class is just around the corner and the German company is performing final evaluations of the model. 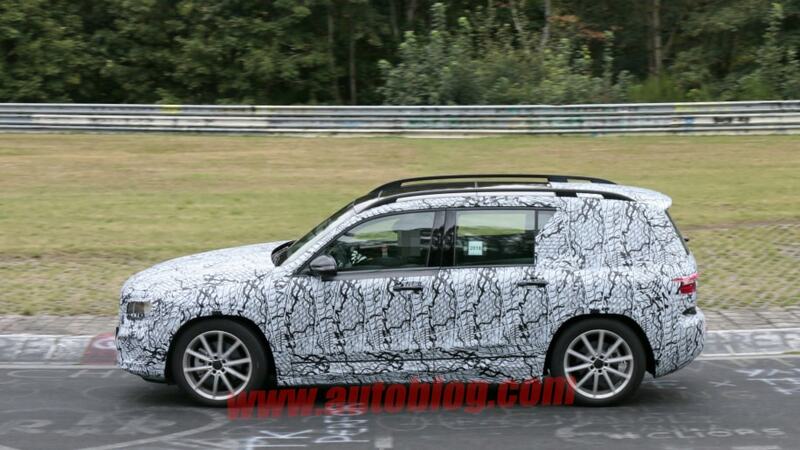 We’ve seen the boxy SUV out testing a number of times and now it’s back on the Nurburgring for some high-speed laps. If you are not familiar with the idea of the GLB, it will be a more rugged and off-road capable machine than the GLA with which it will share its platform. The automaker is already testing prototypes with all production parts, so we are likely looking at an almost production-ready vehicle. Speaking of the architecture, the GLB-Class will be underpinned by the MFA2 compact vehicle platform. This means it will use a robust body-construction and high-tech bits onboard like Mercedes’ latest infotainment system with a wide screen – just like in the new A-Class. As far as the engines are concerned, look for familiar four-cylinder turbo gasoline and diesel motors depending on the market. The entry-level versions will be motivated by the front wheels, but four-wheel drive will be optionally available for the more powerful models. The manufacturer is even planning range-topping AMG models, but nothing specific is known at the moment. 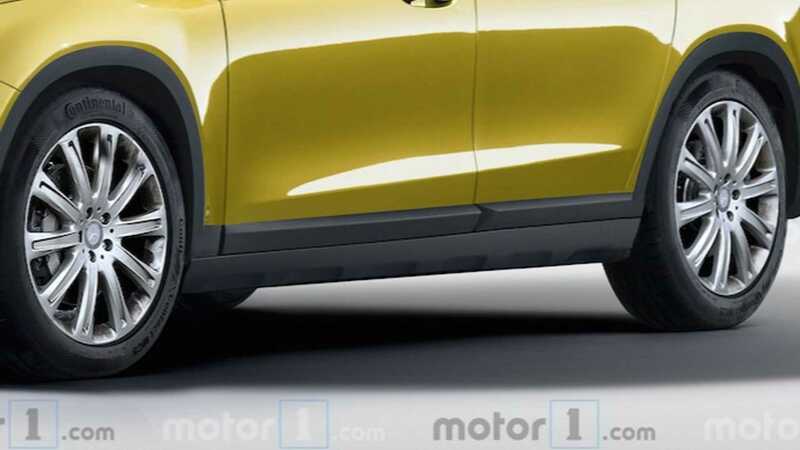 The boxy compact SUV is set to arrive in North America in the fourth quarter of next year, so a full reveal should occur months before that. The “baby G-Class” could premiere in the early months of 2019, in Detroit or Geneva, but we will have to wait for a final confirmation. Examples of the GLB for the U.S. market will be built at Daimler-Nissan’s new factory in Aguascalientes, Mexico. Our educated guess on its price is anywhere between the $33,400 GLA and the $40,050 GLC. Thread title correction on aisle 3! How many CUVs/SUVs do they need? Waiting for the GLD. It would be a hit in Saudi Arabia. Mercedes-Benz is rumored to reveal a brand new member of its compact car family this summer. The GLB-Class is set to become the most rugged model to be based on the platform of the A-Class with a boxy SUV shape and raised suspension. We’ve seen several prototypes out testing and now it’s time do a virtual striptease and take off the camouflage to preview the overall picture. 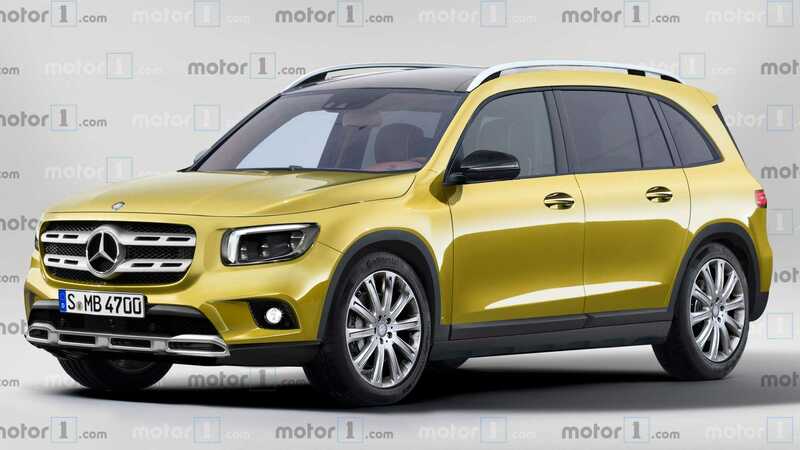 Looking at the attached rendering at the top, the vehicle somehow reminds us of the GLK-Class that preceded the GLC-Class we all know today. It was a boxy SUV with a macho appeal looking somewhat more prepared for off-road adventures than Mercedes’ SUVs of today. The GLB is expected to offer the same overall design approach with shorter overhangs and more refined lines added to the mix. Aside from the rugged looks, the GLB will be a typical member of the A-Class/B-Class family. It will ride on the automaker’s MFA2 platform which means it will share a lot with the rest of the brand’s compact car lineup. For example, most of the interior will be inherited from the B-Class including the two 10.25-inch digital screens controlling the MBUX infotainment system. Depending on the market, the vehicle will be offered with a number of turbocharged gasoline and diesel engines. The GLB is expected to reach U.S. showrooms in the fourth quarter of this year and to be built at Daimler-Nissan’s new factory in Aguascalientes, Mexico. Most likely, the American version of the car will gain the A-Class Sedan’s 2.0-liter turbo with 188 horsepower (140 kilowatts) and 221 pound-feet (299 Newton-meters) of torque. European customers will also get a smaller 1.4-liter turbo unit and a 1.5-liter diesel sourced from Renault-Nissan. Not bad, IMO, for what's likely a FWD X2/Q3 competitor. Definitely would take one of these over the GLA. Mercedes is already behind with GLA, B, C, E, S and i am sure more models are the works. 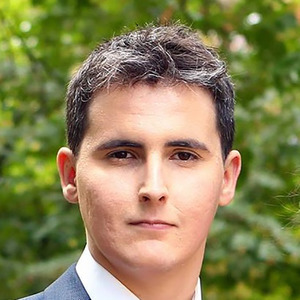 Last edited by oonowindoo; 01-14-2019 at 06:01 PM. 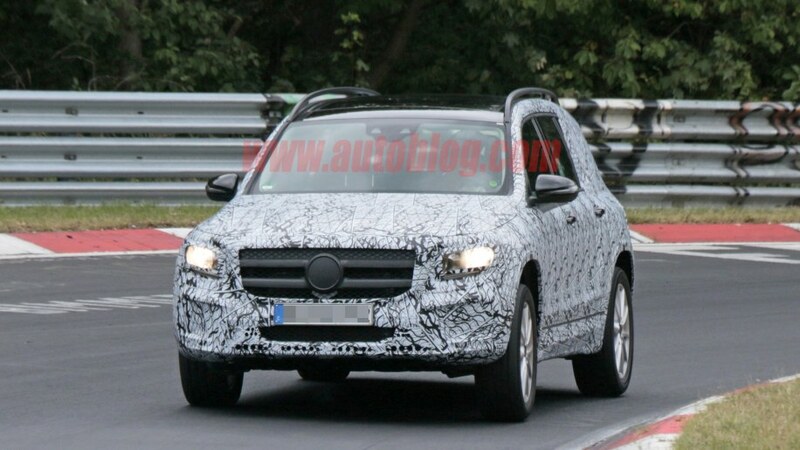 Mercedes-Benz is preparing to launch a new GLB small SUV (internal codename X247). According to the latest news, it will come in several powertrain options. This includes gasoline, diesel, plug-in hybrid and all-electric as the Mercedes-Benz EQB. The new model will be directly comparable to the Audi Q3, BMW X1 and Lexus NX. “In a move similar to that undertaken with the larger GLC and its electrically powered EQ C sibling, the GLB will provide the basis for the zero-emission EQ B model. It will feature uniquely styled front and rear ends, dedicated wheel designs and other detailed design changes that are said to lower its drag co-efficient below 0.30. The EQB probably will be a long-range (310 miles/500 km), dual motor all-wheel drive model. However, it’s too early to tell for sure. The plug-in hybrid GLB EQ Power is expected to get up to 62 miles (100 km) of all-electric range, as well as a 2.0L gasoline engine and all-wheel drive (one gearbox-mounted electric motor mounted in the front and second one in the rear in the form of a ZF rear axle). Since the battery will be installed within the floor, trunk capacity should remain on par with gasoline version. Welcome to a lightly concept-ified version of a car you’ll be able to buy quite soon. Probably. Called the GLB, this little SUV will - rather predictably - sit between the GLA and GLC in Merc’s line-up of SUVs, which also includes the GLE, GLS and G-Class. One of many, many cars that shares a platform with the A-Class hatchback (alongside the B-Class mini-MPV and CLA four-door coupe thing), Mercedes says the GLB “places the emphasis on spaciousness and robustness”, not “progressive driving enjoyment” and “coupe-like lines”, which is what the GLA takes care of. So it has seven seats - a first on this platform. The middle row can slide 50mm backwards or 90mm forwards from its default position, to maximise either second- or third-row legroom, and the backrests are adjustable through eight positions. Access to the third-row is via levers on top of the outer second-row seats. That’s spaciousness covered off. Elsewhere inside, the dashboard is as-per the A- and B-Class. That means it’s set-out around the MBUX infotainment system, with its “Hey Mercedes” voice assistant that claims to be able to understand pretty much anything you might yell at it. Within reason. And unless you happen to have a really thick accent. Much as we’d like the brown leather and wood shown here to make production, we’re not holding out much hope. As for robustness - that’ll be the GLB’s looks. Ignore the Concept’s 17in alloys with chunky tyres, LED spotlights and integrated roof box. 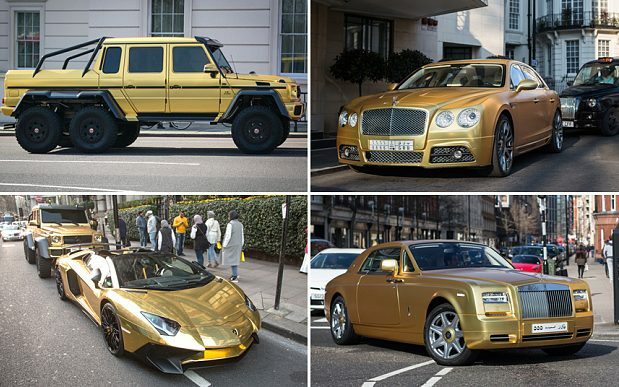 Cool as it looks, it’s just motor show chintz. 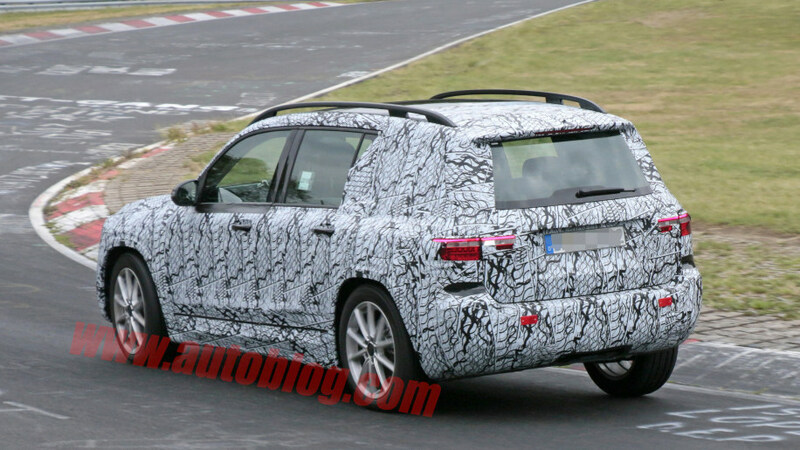 Instead look at the shape - this is as chunky an SUV as we’ve seen from Mercedes, G-Class notwithstanding. Certainly more Jeep Renegade than BMW X2. We reckon it looks pretty smart. Hopefully it translates well into the real world. The concept’s engine is a 2.0-litre turbo with 221bhp. A-Classes and CLAs with the same engine are badged ‘250’. No doubt this engine will be available in the eventual production car, probably alongside a couple of diesels and a lesser petrol. Power is sent to all four wheels through an eight-speed DCT. The torque-split is flexible, but in normal driving runs at 80/20 front/rear. An off-road mode changes this to 50/50. When’s it coming for real? 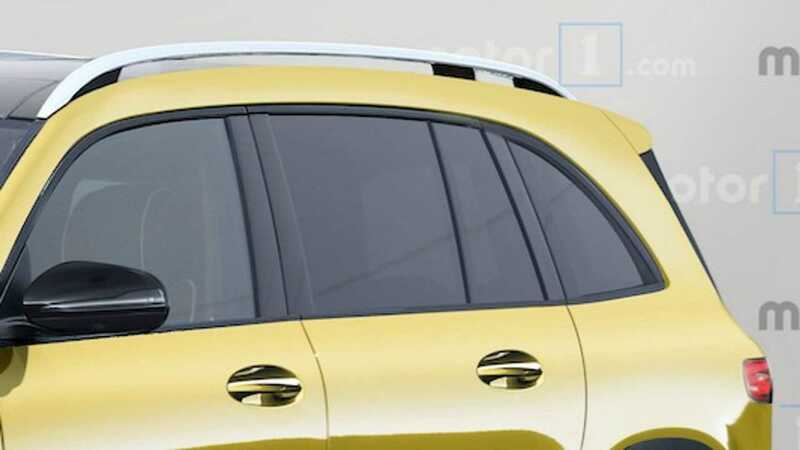 Well the GLA (which must be up for replacement soon) was shown at the Shanghai show in 2013 as a concept. The real thing was revealed at the Frankfurt show a few months later, and deliveries began in March 2014. So, there’s a possibility we might see a production GLB in September, and be driving it by early next year. 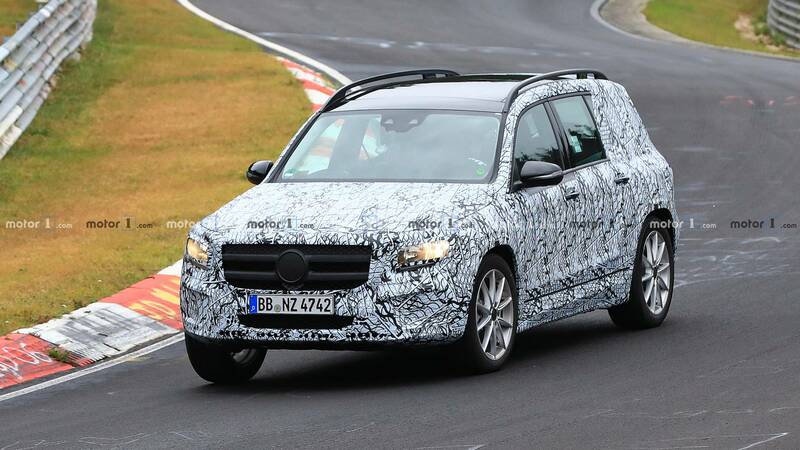 Does this look like the small Mercedes SUV you’ve been waiting for? Looks pretty good in concept off-road guise. Probably to look less interesting in production lease-spec. Looks like a Mercedes Compass.